If you’re losing good people, look to their immediate boss .Immediate boss is the reason people stay and thrive in an organization. And he ‘s the reason why people leave. When people leave they take knowledge,experience and contacts with them, straight to the competition. 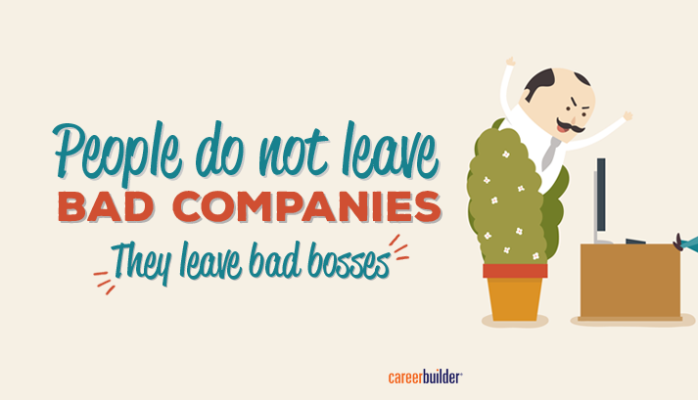 “People leave managers not companies,” write the authors Marcus Buckingham and Curt Coffman. Different managers can stress out employees in different ways – by being too controlling, too suspicious,too pushy, too critical, but they forget that workers are not fixed assets, they are free agents. When this goes on too long, an employee will quit – often over a trivial issue.